About France : France officially the French Republic is a sovereign state comprising territory in Western Europe and divided into 18 administrative regions. It has a total population of 67 million with its capital in Paris, the country's largest city and main cultural and commercial centre. Throughout its long history France has been a leading global center of culture making significant contributions to Art, Science and Philosophy. It hosts Europe's third-largest number of cultural UNESCO World Heritage sites (after Italy and Spain) and receives around 83 million foreign tourists annually, the most of any country in the world. France remains a great power with significant cultural, economic, military, and political influence. It is a developed country with the world's sixth-largest economy. It also possesses the world's largest exclusive economic zone (EEZ). French citizens enjoy a high standard of living and the country performs well in international rankings of education, health care, life expectancy, civil liberties and human development. France is a founding member of the United Nations where it serves as one of the five permanent members. It is a founding and leading member state of the European Union (EU) as well. France has a mixed economy that combines extensive private enterprise with substantial state enterprise and government intervention. About the Institution :- ESC Pau Business School is located at the heart of the Pau University Campus only 5 minutes from the Town Centre and less than 15 minutes away from all major transport networks (motorway, railway, bus and airport). It was built in 1987 and has 3 buildings. Their mission is to develop and educate globally responsible managers as future leaders for a fast-changing, complex and interconnected world. 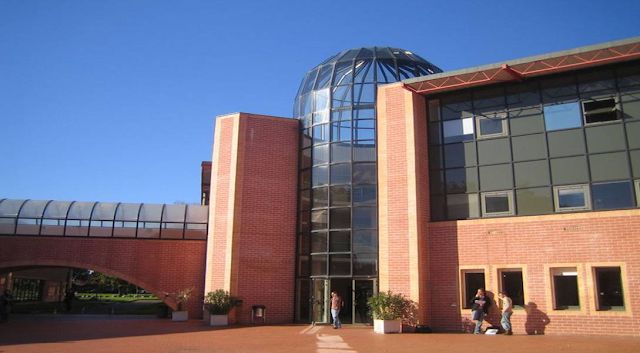 ESC Pau Business School is part of the Pau-Béarn Chamber of Commerce and Industry (CCI). Opened on 1st October 1969 by decree of the Ministry of Industrial and Scientific Development and moved to Pau University campus in 1986. ESC Pau Business School offers a range of further education, higher education and executive programs from Bachelor to Masters level. ESC Pau is accredited by EPAS. Ø 1 year post study work visa after Bachelors. Ø 2 years post study work visa after Masters. Application processing charges : Rs. 15,000 per applicant.